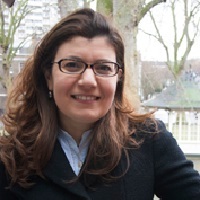 Journalists from the UK and US must do more to recognise the diversity between nations in the Middle East, according to a new book edited by Dr Zahera Harb. Reporting the Middle East: The Practice of News in the Twenty-First Century was launched at an event at City that included a panel discussion with journalists and academics who contributed to the book. According to Dr Harb, a Senior Lecturer in the Department of Journalism, argues media can present negative and simplistic views of Islam and the Arab world, despite there being a billion Muslims globally and more than 350 million Arabs spread across multiple countries. The authors of the book, which recommends a country-by-country approach to analysis of the region, include City journalism academic Dr James Rodgers, whose book Headlines from the Holy Land; Reporting the Israeli-Palestinian Conflict was published in 2015. Dr Harb said: "The edited volume is extremely relevant and important considering the times in which we're living. "Several chapters argue that when some Anglo-American writers and journalists use the word 'Islam', 'Muslims' or ‘Arabs’ they are presenting their audiences with a set of negative perceptions that form a body of knowledge about more than a billion Muslims worldwide and more than 350 million Arabs spread over 22 countries." The book provides detailed analysis of the complexities of reporting from the Middle East and how media represent the region. Each chapter provides an overview of a country, including the political context, relationships to international politics and the key elements relating to the place as covered in Western media. 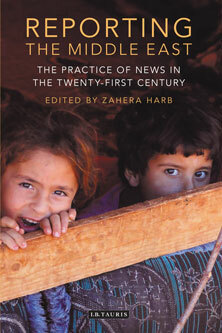 Dr Harb said: "The book includes both analysis through the prism of theory – including Orientalism, modernisation, framing, agenda – setting, news values and norms – and practical reflections presented by journalists who are either from the region or have covered the region’s conflicts for British and American media. "Journalist readers will have the opportunity to compare practice and think more deeply about it, with the aid of these ideas. Media academics and students interested in the Middle East will add to their bodies of knowledge about the issues, but with the addition of the fine-grained and vivid detail that only eyewitness reporting can bring." The authors explore how the media can be used to serve particular political agendas on both a regional and international level. They also consider the changes to the media landscape following the growth of digital and social media, showing how access to the media is no longer restricted to state or elite actors. By studying coverage of the Middle East from a wide range of news providers, Reporting the Middle East shows how news formats and practices may be defined and shaped differently by different nations.